BR5L-Black Carabineer Badge Reel. Full swivel slide-type belt clip on back. Cord length is approximately 34" long. 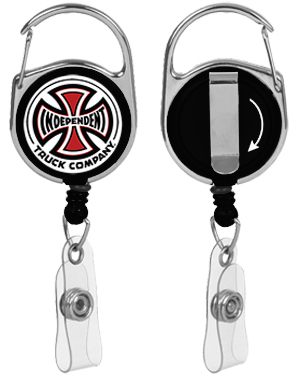 Features a versatile carabiner for easy attachment and a clear vinyl strap with snap for card attachment. Custom Logo area is 1" in diameter. Available in black.